From Blackpool’s coastline to Chorley’s bustling market town, Cloudy2Clear’s local engineers work with customers to repair failed double glazed windows, sealed unit replacements and locks, handles & hinges. What’s more, our trusted experts can replace the pane, not the frame, saving customers money, energy and time. This is what makes us the UK’s leading glass replacement company for failed windows. We love being in the heart of Lancashire which is steeped in history. Preston’s Harris museum dates back to 1893 and the city’s football team was a founding member of the original Football League. The wider area also has a lot to be famous for. Leyland is renowned for its bus and truck manufacturer Leyland Trucks and the borough of South Ribble was revealed as the UK’s best places to live for people in their 20s due to job opportunities, affordable housing and excellent road and rail links to major cities in the North West. Cloudy2Clear’s engineers can access those living in or who have property in the rural areas of North Preston to its vast coastline which stretches from the seaside town of Southport, fringed by the River Ribble estuary, up to Fleetwood – home to manufacturer Fisherman’s Friend which exports its lozenge around the world. Not only is Cloudy2Clear a Which? Trusted Trader, but our engineers have excellent local knowledge and can visit your home to provide a free-no-obligation quote taking on average no longer than 20 minutes. 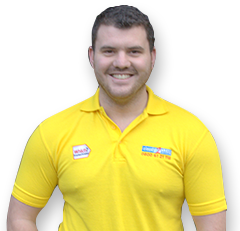 If you’re looking to save your windows by replacing only the failed double glazed unit in Preston or the surrounding areas, then contact branch manager, Louis. A good company to deal with. Windows replaced proficiently and would definitely recommend Cloudy2Clear. We wanted to say we are delighted with the work done by your lads last week and how pleased we are with them. Please thank them. Just to say “thank you so much” for the wonderful job of changing my windows to my satisfaction last week. I was very impressed with all the aspects of the planning, workmanship and dedication and attitude of the workmen. The outcome has made me feel so much better than before. I will certainly be recommending you. P.S. I have given my comments and praise to Trading Standards who have taken note.